What’s happened to real? In a world of jargon, acronyms and distrust, does authenticity in leadership mean anything anymore? The answer is a resounding YES. As the expectations of customers and employees evolve at a breakneck pace, businesses and organisations are starving for real communication and authentic leadership. But there’s a lot of baggage and distrust to overcome. Real Communication shows you how decades of systematic deceit, jargon, alternative facts and a top-down culture of self-protection have nurtured cynicism in our organisations. 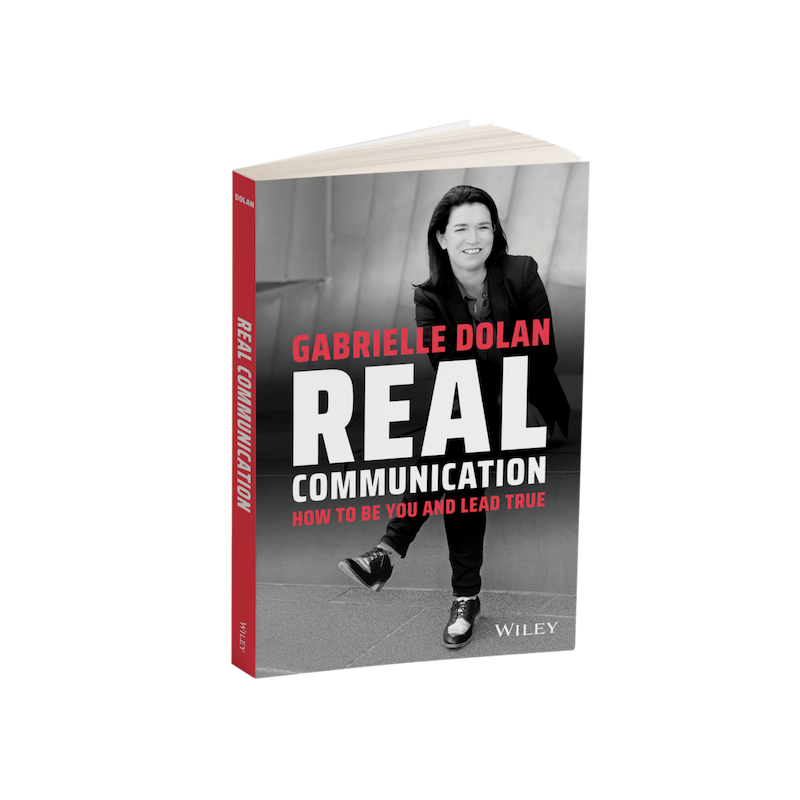 With real-life case studies, pointers and guidelines, leadership consultant Gabrielle Dolan shows you how authenticity can earn trust with honest communication, and why it’s well worth the effort. manage the new generation of employees. When trust is broken, it is extremely hard to rebuild. Real Communication shows you how to do it, and the payoff is priceless. “The irrepressible and talented Gabrielle Dolan has done it again. Real Communication is full of wonderful stories and useful tips.